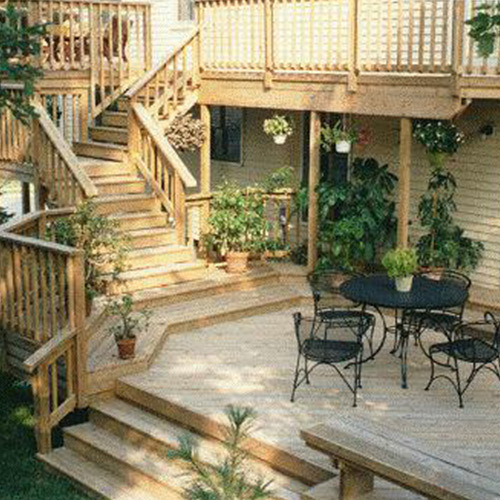 What to do when your deck is weathered down? The problem has been that stains and sealers are limited. Typically they last only a few months because UV rays, rain, temperature extremes and foot traffic take a toll. But on the horizon there is an interesting scientific development occurring in something called nanotechnology that promises to potentially seal a deck virtually forever (with minimal maintenance along the way). Then, of course, if your pressure treated deck is already weathered badly, it might be a candidate for a complete resurfacing job which will make it look almost like new and for a lot less than replacing it. And the material we use will last for many years!